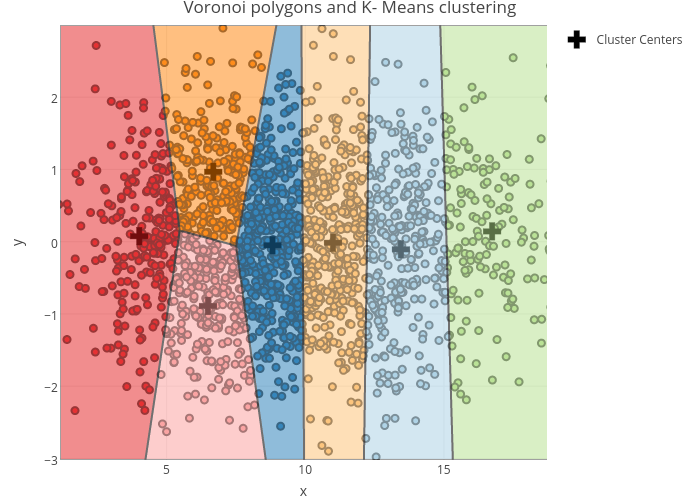 Riddhiman's interactive graph and data of "Voronoi polygons and K- Means clustering" is a scatter chart, showing Clusters vs Cluster Centers; with x in the x-axis and y in the y-axis.. The x-axis shows values from 1.15511289331623 to 18.7152684386493. The y-axis shows values from -3.02053415920227 to 2.99892582183188.